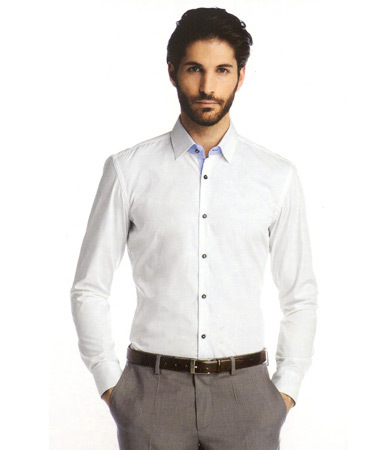 On the well-made dress shirt, the buttonholes are all cut and sewn vertically into the placket, except for the very bottom one, which is horizontal. 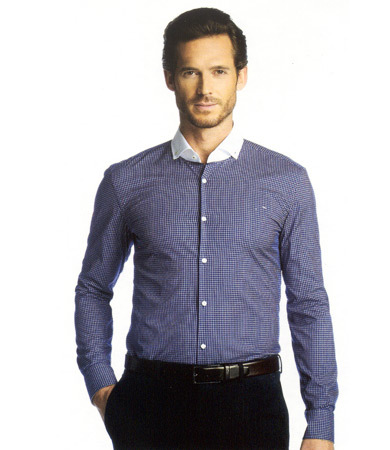 This is because shirts used to button into the front of the trousers to prevent blousing, and even thought pants no longer accommodate this, the finest shirtmakers have clung to the tradition. The more stitches the seam has, the more durable it will be with about 20 stitches per inch on a good shirt. 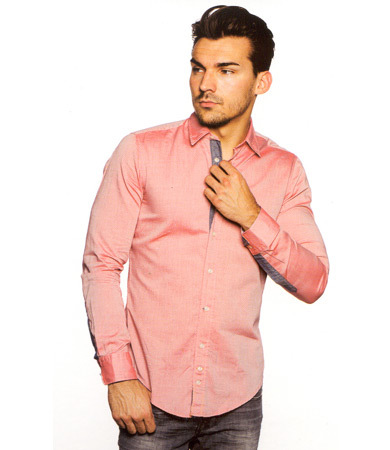 Also, on a good shirts, stripes or checks should match exactly where the shoulder joins the sleeve. The origins of a spilt yoke lie in traditional shirtmaking. 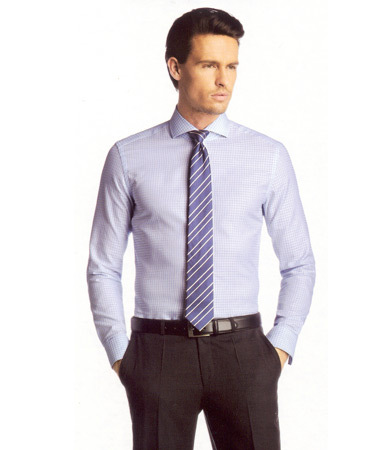 As people generally have shoulders of different heights, a spilt yoke can be used to adjust the fit of a shirt precisely to the customer's stature. 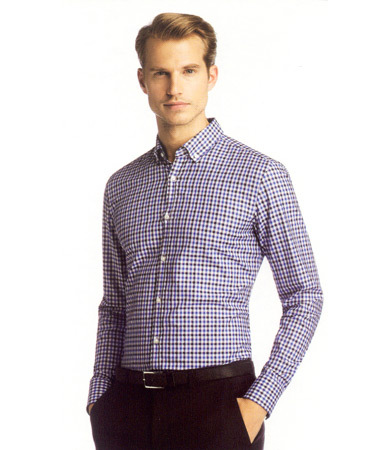 A gusset is added for reinforcement at the bottom of the shirt where the front and back join. 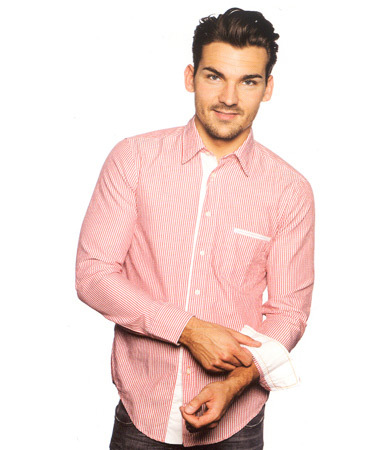 The place where the buttonholes run down the front of your shirt is called the placket. 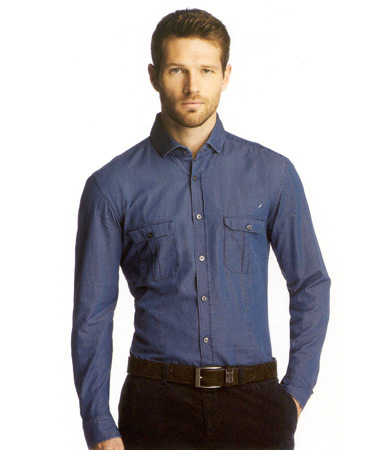 On a well-made dress shirt, the placket is a separate piece of material, sewn on with a single-needle machine. 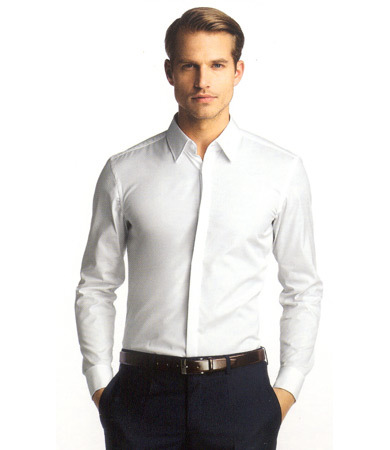 Alternately, in super-lightweight summer dress shirts, there may be no placket at all, in order to keep the shirt cool and elegant. Mother-of-pearl buttons are a sign of a well-made shirt. The thicker the better, to withstand washings; four holes mean a better bind.